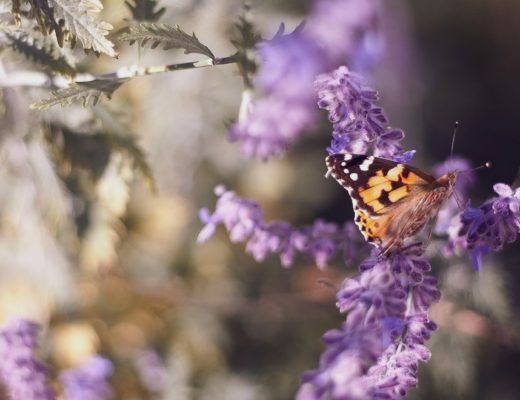 This week, I share five ways to add more joy to your life – all coming from a possibly unusual source. 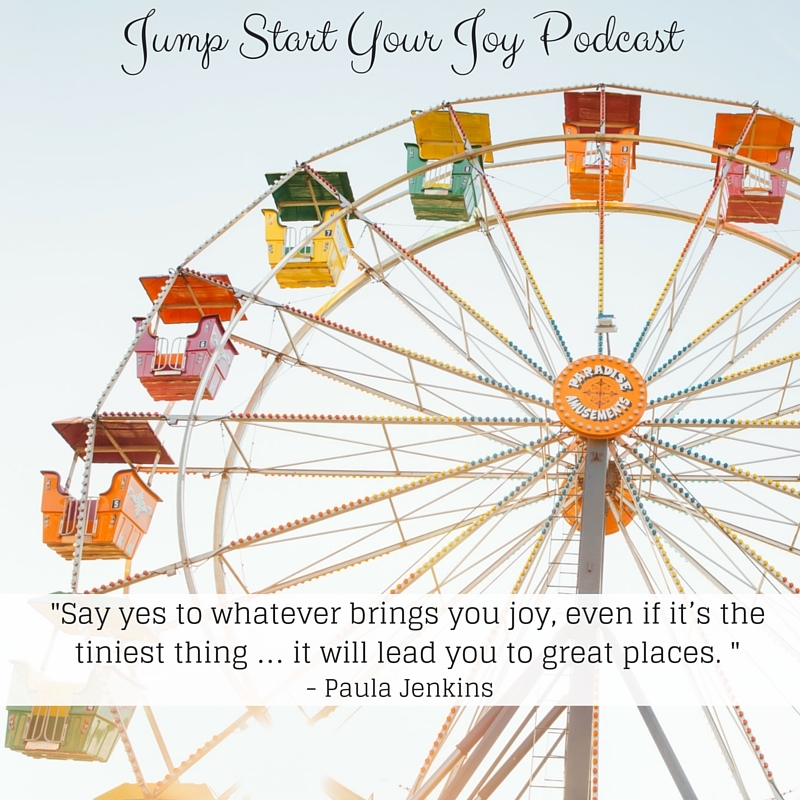 If you have been following my for a while, you’ll know that Jump Start Your Joy is my second blog (third if you count an annoymous one I started in about 2004 and is now gone). 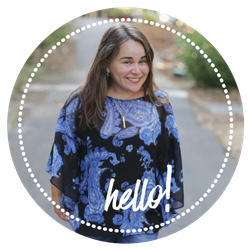 Over the last year, I have moved my original blog (Welcoming Spirit, which originally was on blogger) over to it’s new home, here. And, as of June 1, 2016, Welcoming Spirit will be put to rest. Today’s podcast counts down the top five viewed posts from my old blog, and, it just so happens that each post also highlights a top 5 way to bring more joy into your life. 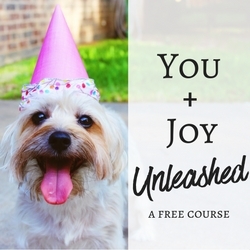 It’s a fun mix of ideas to add joy to your life, and revisit some of my favorite posts. On this show, I’ll chat about my journey with my previous blog, and what some of the pivotal life lessons I learned during it’s eight years, while looking back at the top 5 viewed posts. It’s amazing what sharing bits of your heart and soul do (see numbers 5, 4, and 3 below); what going viral can do to one post (it’s all about being timely, and offering value), how sharing a passion online (in this case, retreat planning), can add up to lots of views. In looking back I used views to help narrow down topics that seem to have resonated with a wider audience. There are lots of posts that I love that didn’t make this list – but we can touch on them another day. How do you create joy in your life? I love that there is a post about surrounding yourself with amazing people. It’s ALL about who you spend time with really. Amazing people, doing things you love, eating food that’s nourishing to both stomach and mind, listening to music that uplifts you, hugging, singing, dancing! I think that making wellness and self-care a priority is something I need to look into. I work myself to the bone but I find joy in eating, music and friends. Really enjoying this series. thank you for sharing. Ah yes… being excited and terrified. I feel you. I actually just saw a quote today that says ‘The greatest responsibilities come at a risk. You have to be comfortable with feeling uncomfortable.’. I am realizing that growth isn’t easy and you need to get out of your comfort zone to succeed in anything you want to accomplish. I think looking for ways to be grateful, is the best way to add more joy to your life. I am always happier when I am grateful! Those are some amazing topics and I can certainly see why they’re the most read. I can’t stick around to listen to the entire podcast but I’ll try and listen to it one day. It’s so important to find the joys in your life and appreciate them. I love the topics you covered here. I have tried to surround myself with amazing people. It really does make a difference in your life when you do that. Making self-care a priority is something I have worked hard on the past few years. For a while after my first two littles were born, I totally lost myself – it wasn’t pretty. Love all the topics. They’re all amazing and we can all relate to them. You have lovely blog with amazing posts, not mention about the podcast. 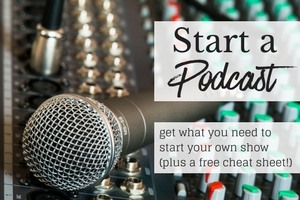 Everytime I listen to your podcast I feel encourage to make my own podcast. Someday. Surrounding yourself with things that make you happy and people that make you happy can make all the difference in the world. Great insights on how to add more joy. I need to get into some of these podcasts. Adding more joy in your life is easier than most people think. Even the small actions make a big difference. Great tips! I agree whole-heartedly. I have to admit that I struggle with making sure I follow the advice that I agree with. Sometimes we don’t always do what we should to maintain our joy. 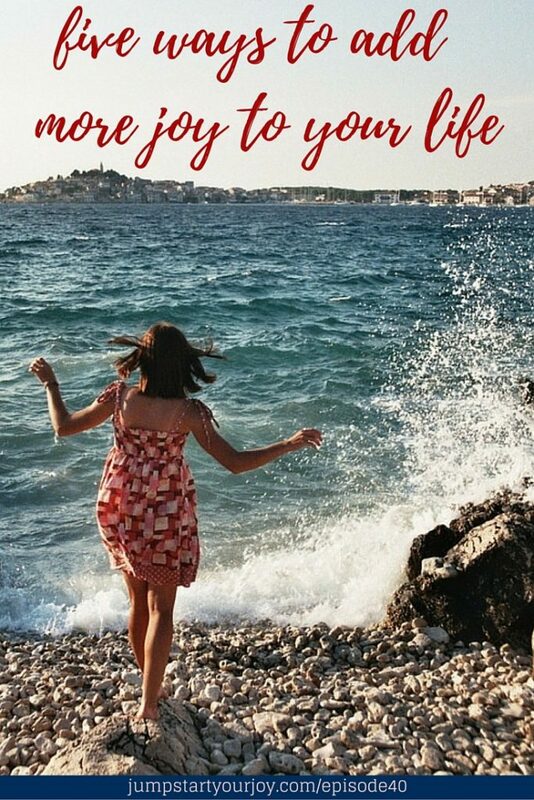 Joy is so important for our overall health. Thank you for sharing…we can all sometimes use a reminder because life does get in the way! JOY….JOY…JOY…that elusive thing that many seek after yet so few find. It is not that complicated, maybe we are making it more complicated than it really is. Great post! Thank you, Mardene. I agree, if we can get out of our own way, it’s often much simpler than we think. This is lovely. I’m definitely learning to add more joy to my life on a daily basis. Thank you Teresa! Best wishes on your journey! Adding more joy to your life is so important. You don’t know when your last day is on Earth, so enjoy it. It is so important to find that joy! I feel like I have come to a point in my life where I can easily cut out people and things that drain me physically and emotionally…I am so much happier now! I love all of these! As a blogger and mom, I need to work more on self care. I think that taking the time and being grateful for things can make a huge different in your attitude, how happy you are, and your day to day. I love your topics. Who doesn’t want to add more joy to their life. 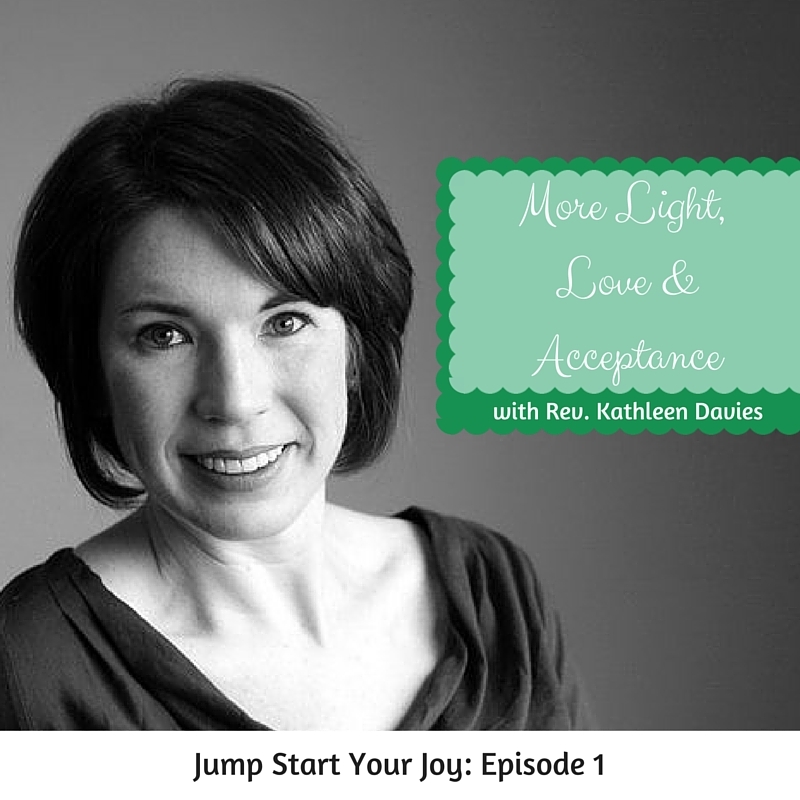 It seems like your adding joy by this podcast because its something you clearly love. It’s important to focus on what brings you joy. I really should evaluate what my top 5 things are! Omg love this!!! I all about finding the positives! If you can look for something good in everything you do, you will always be happy!